Estimation of Building - Long Wall Short Wall, Center Line Method. Estimation of Building – Long Wall Short Wall, Center Line Method. Hey Guys, Welcome In today’s article you are going to learn about the different methods of estimation for building, i.e., Long Wall – Short Wall Method, Center Line Method. You’ll learn the above methods of estimation of building in details. Technical Terms used in Building Estimation. 15. T. and P. Charges. Methods of Estimation of Building. 1. Long wall – Short wall Method. 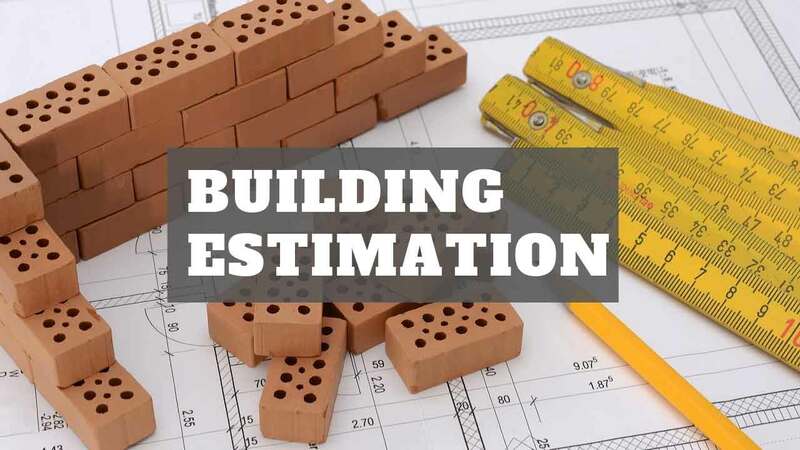 Estimation is an art to calculate the quantities and cost of different materials used in a building before its construction. Building estimate is of two types one is known as Rough Cost Estimate. This estimate will not describe the exact cost of the building, but it can give you the approximate cost value of the building that will assist sufficiently in managing money for the building. Rough Cost Estimate is conducted in different ways for different kind of buildings. An estimate is done for any project before commencing about its fruitfulness and cost that will be expended on it. Rough Cost Estimate is conducted in different manners for different types of projects. Another famous method of building estimation is Detailed Cost Estimate. In this method of estimation of building, each item of the project is determined and multiplied by its unit of Rate to acquire the cost. Every type of cost is involved in Detailed Estimate. Therefore, it is considered a better estimation method. Detailed Estimate is conducted to get the approval of Technical Sanction of the related project. 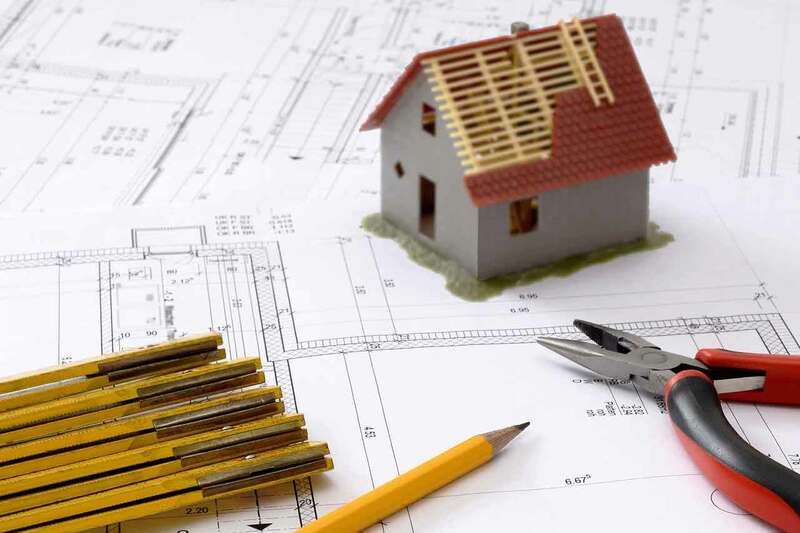 Different Technical terms are used for making building estimate. Few important technical terms are described below. Plinth Area is the constructed area over the floor surface. It also includes the area of the veranda and other passages that have a roof over them. Plinth Area is measured up to outer edges of the walls. Floor Area includes the internal area of all the rooms. Rooms include kitchen, bathroom, and stair room. It does not include area encapsulated by walls. Carpet Area refers to the area of residential rooms. It does not include areas of the kitchen, bathroom, and stair room. Market Rate is the per unit rate of different objects available in the market. It also Includes conveyance charges, wastage charges, and taxes imposed over objects. Engineering departments prepare rates according to the market rates for the payments that are known as Schedule of Rates. It includes rates of cement, sand, gravel, and steel bars, etc. However, It also shows rates of labor or material as well. Rates of labor are known as Labor Rates. Rates of labor along with material are known as Composite Rates and shortly known as CSR. Schedule of Rates is regularly issued observing the rates fluctuation in the market. It is issued at the start of each year that will be practicable for at least 3 months. Which is known as Market Rates Schedule that is uploaded on the Internet and shortly known as MRS.
Rates are subjected to increase even after the issuance of the Schedule of Rates that is why additional rates are decided during the agreement with the contractor. That is known as Premium. Rebate is also subjected to decrease even after issuance of the Schedule of Rates. Decreased rates are decided during agreement with the contractor that is known as Rebate. Estimates will incorporate some items that are not listed with particular headings. 3 to 5%, of the overall budget, is reserved for encapsulating the cost of these items that are known as Contingencies Charges. There are certain items which cannot be determined exactly during the preparation of estimates. These Items are known as Petty Items. Bill of Quantity is the statement of the items of work. This statement will include item names along with the description of work and quantity of work. However, empty cells are left for related rates and amounts that is submitted by the contractor as B.O.Q. This statement will be known as Abstract of Cost once rates and amounts are filled in. Capital Cost is the overall cost paid out over the project. It includes construction cost, survey cost, design and supervision cost, water supply cost, sanitary cost, electrification cost, gasification cost, and plot price cost, etc. The amount is reserved during the preparation of the estimates that will be expended over the certain things with the approval of owner or project manager or site engineer. It may include pay out over fittings of doors and windows, water supply, sanitary, and electrics fittings, etc. This amount is known as Prime Cost. An amount is reserved during the preparation of the estimates expended over items that are not determined. This amount is known as Provisional Sum such as the cost of installation of telephone, or gas, or Internet and installation of air conditioners, or lifts, etc. Staff is enlisted during the construction of the project on the temporary basis that is known as Work Charge Establishment. This staff includes secretaries, mates and security guards, etc. They are enlisted for a short time. 1.5 to 2% of the overall cost is reserved for payment of their salaries or wedges. 1 to 1.5% of the overall cost is reserved for tools and giants during the preparation of the estimates which is known as T. and P. Charges. Here, T stands for Tools and P. stands for Plants. Read Also: Top 5 Water Purification Methods – Complete Guide. Estimation of a building can be done by different methods as follow. So, Let’s discuss the methods of estimation of building. In Long wall – Short wall method of estimation, the external wall along the length of the room is intended to be Long wall while the wall perpendicular to the long wall is stated to be a Short wall. To get the length of the long wall or short wall, calculate first the centerline lengths of the particular wall. Then the length of the long wall, (out to out) may be measured after adding half breadth at each end to its centerline length. Thus, the length of short wall measured into in and may be found by deducting half breadth from its centerline length at each end. The length of the short wall usually increases from earthwork to brickwork in superstructure while the long wall decreases. These lengths are then multiplied by depth and breadth to get quantities. In short wall and long wall method, the wall along the length of the room is considered to be a long wall, while the wall perpendicular to a long wall is known to be a short wall. In Center Line method of estimation, measurements of the wall are taken up-to center. Internal measurements are generally taken. The thickness of half wall from one side and thickness of half wall from another side in internal measurements are added in order to determine the length of Center Line of room walls. If all of the steps are symmetrical in cross-section of the wall, then the total length of the Center Line will be uniform for all items of the wall. If these steps are not symmetrical, then the length will be determined separately for each step. Despite, if the design of walls is same throughout in building then it is quite easy to find the length of Center Line. Center Line method is employed easily in circular and polygonal shaped buildings. Despite, this method is also suitable to use in small buildings with few rooms. If the thickness of external walls is of the same thickness in overall building and the internal walls are also of the same thickness, but they both are of different thickness from each other. Then this method is used for estimating. In such cases, the center line method is used for external walls, and long wall – short wall method is used for internal walls. A Comprehensive Guide on Concrete Frame Structure Building. Cavity Wall Construction – its Advantages, Disadvantages.